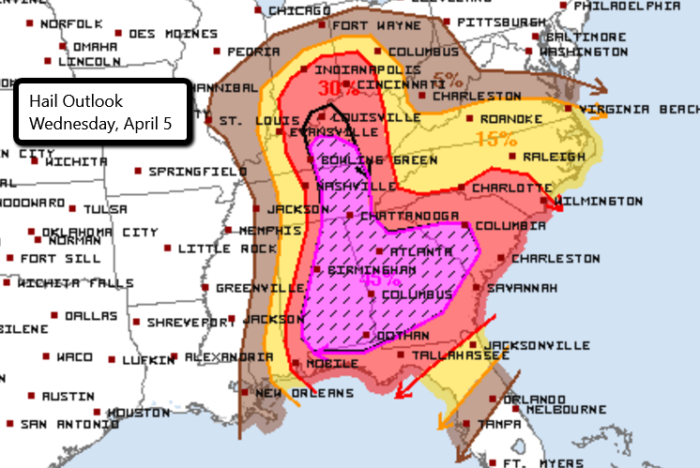 Widespread severe thunderstorms are expected across much of the Southeast today and tonight. 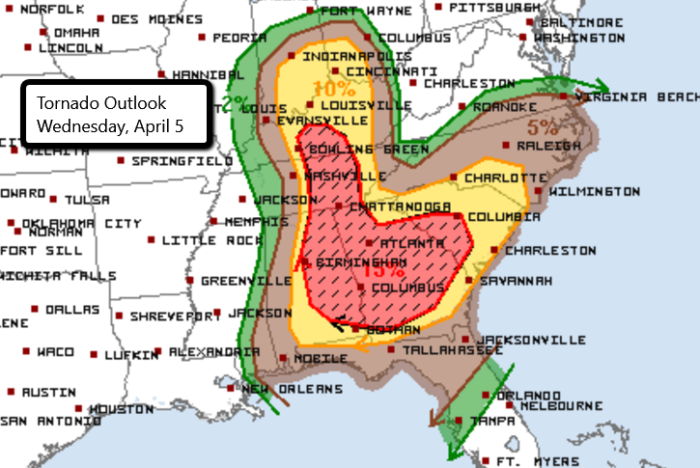 There is a Moderate Risk in place from south central Kentucky through central Tennessee and into parts of Alabama, Georgia, and South Carolina. This includes Atlanta and Columbus, GA, Birmingham and Montgomery, AL, and Chattanooga, TN. 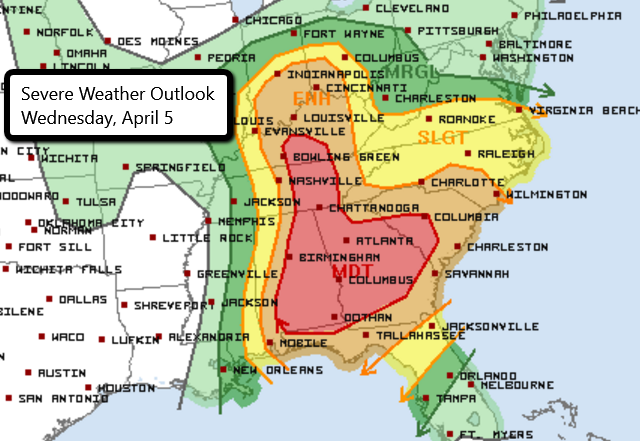 Within this Moderate Risk area, very large hail, damaging wind gusts, and a few strong, long-track tornadoes are possible. Severe weather is already ongoing in parts of the Southeast and will continue throughout the day. On Tuesday, Alabama preemptively declared a State of Emergency in response to the forecast for widespread severe weather. Some school districts also cancelled classes on Wednesday. Be sure you have multiple ways to receive severe weather alerts wherever you are. For updates, follow us on Twitter.